If you are a fan of or are familiar with pool, snooker championship at first can seem confusing. In fact, there is a high chance that you already have questions about snooker a sport. Questions you are likely going to ask yourself are like why is the snooker table so big? Why are people in bowtie and waistcoat? Why is the referee putting billiard balls back onto the billiards table? Do you play snooker championship the same way you play pool? If you are in need of answers to these questions then you’ve visited the right site. Below you’ll get a small brief about snooker that helps answer some of these questions. Additionally, this post highlights snooker tips and tricks every beginner needs to know. Snooker is perhaps the only professional sport where participants are required to wear bowties and waistcoats. Bypass this glaring fact and you’ll realise that snooker is an enjoyable game that is easily accessible. A typical snooker game involves 2 or more competitors/participants cladded in bowties and waistcoats. The choice of bowties and waistcoats is in line with snooker’s class. In some cases, snooker games are played with 2 or more people placed in teams. Snooker games with teams playing against each other are referred to us doubles. Every snooker game has 21 object balls that represent different values. Players use the white ball also known as the cue ball to pot the other balls. The 21 object balls comprise of 15 red balls and 6 coloured balls. The 15 red balls all have a value of 1. The other coloured 6 balls are yellow, green, brown, blue, pink and black with a value of 2, 3, 4, 5, 6, 7 points respectively. Equipment you will need for a snooker championship game is a cue sticks, billiard balls, and billiards table. Additional equipment like cue extension, the rest and a spider are also of great use and needed in snooker. The cue extension helps with making your cue longer. The spider allows you to take shots that are too far for you to bridge them using your hand. The rest, on the other hand, helps you take your shot when you are far away from the white ball. With this small brief out of the way, read on to learn a few snooker tricks and tips sure to elevate your game. The first thing you need to teach yourself as a snooker beginner is learning how to grip your cue. Gripping your cue greatly determines how you play a snooker championship game. When gripping your cue, always ensure that you don’t grip it too loosely or tightly. Work to see you have a natural grip of your cue. Having difficulties finding the perfect cue grip? Simply put the cue stick down on the snooker table then pick it up as this will become your natural grip. 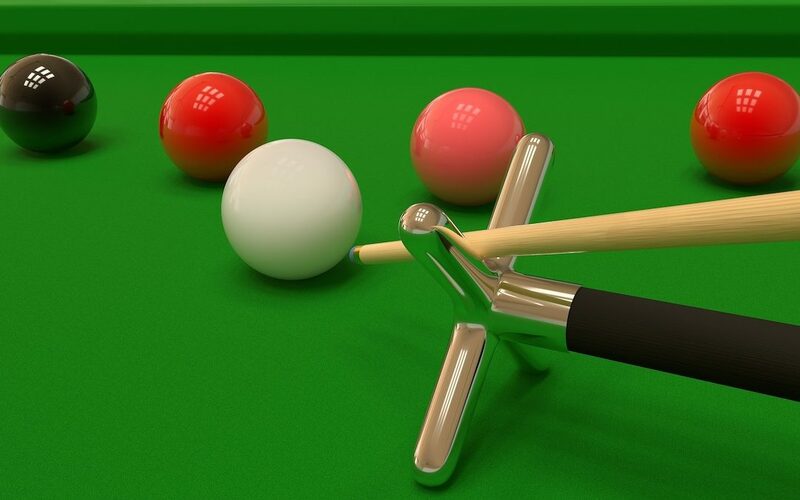 Finding the perfect snooker bridge is another great tip for snooker beginners. When finding the right snooker bridge, always ensure that your hand is perfectly placed on the table. If you are having difficulties bridging in snooker then here is a perfect effortless tip. Start by placing your hand flat on the billiards table and then spread your fingers. Now raise your knuckles and keep your fingertips on the table. Once you’ve done this now take your thumb and bring it up to the forefinger. Make sure that it does not move when you are cueing. If you do this correctly, you will have a really good base to run your cue stick through. Another great snooker tip for beginners is practising or working on your sighting. In fact, this tip is not just for beginners even pros are and should work on their sighting. Why is sighting important? Well, you need to ensure that your aim is good. You can only achieve this with a great vision or sighting. One way you can work on your sighting is switching glance. When you move and go down to take your shot, switch your glance back and forth. Do this in two specific areas, one, where the cue stick is going to strike the cue ball and the object you want to hit. Once you perfect this, you will have a valuable and priceless sighting in snooker. When it comes to snooker sighting, just make sure that you don’t look at the cue ball when taking your shot. Instead, focus mainly on the object ball only. Having a good cue action is mandatory for snooker player thus the need for beginners to familiarise with it. With a good cueing action, you’ll be able to hit all your snooker balls more accurately. This ultimately is sure to increase your performance especially if coupled up with sighting. If you are new to snooker cueing action, there are a few things that’ll help you find your best cue. For starters, when cueing, try as much as possible to keep your arms still when hitting the ball. Ensure that the elbow of the hand you are using to hold the cue stick is in line with the cue ball. Sticking your elbow out or tucking it into your body when taking your shots can easily result in you not hitting the ball straight or accurately. Establishing your stance is very important in snooker championship. In case you are wondering, your stance in snooker refers to your position. With your stance, you want to ensure that you maintain a firm base before taking your shot. This way, you’ll be increasing the chances of you having or making a straight accurate shot. When establishing your snooker stance, there are a few things you ought to take into account. For instance, you need to factor in which side of the hand you use and also your weight. If you are using your right hand, make sure that most of your body weight is over your left foot. At the same time, the cue stick should be moving across your right foot’s tip. Like any other cue sport, snooker championship requires skills and practice in order for you to compete with the best. Luckily, there are a number of places Australia wide that offer snooker game spots for you to practice. Once you are familiar with it and you are playing well, you’ll be surprised by how enjoyable it is. So what are you waiting for? Give snooker a try and get to enjoy some of its perks. 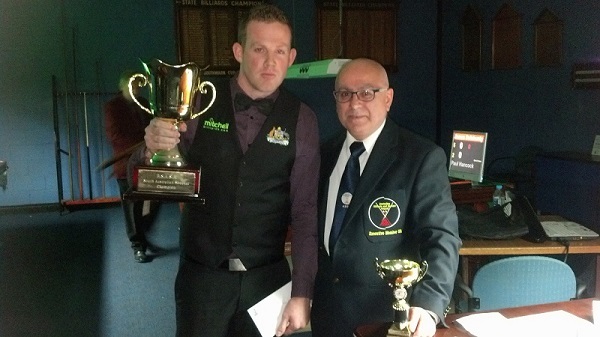 To see some of the on-going snooker competitions in Adelaide and South Australia, do visit Snooker SA Competitions page. You can also phone this (08) 7230 5810 to speak with Snooker SA support and they’ll assist accordingly..